After his climactic battle with notorious serial killer The Hacker, DCI Ryan is spending the summer with his fiancée within the grounds of Cragside, a spectacular Bavarian-style mansion surrounded by acres of woodland. When they are invited to attend the staff summer party – a Victorian murder mystery evening – it’s all a joke until the lights go out and an elderly man is found dead. It looks like an unfortunate accident but, as the dead man’s life begins to unfold, Ryan and his team of detectives realise that all is not as it appears. Murder and mystery are peppered with romance and humour in this fast-paced crime whodunit set amidst the spectacular Northumbrian landscape. Whoosh! 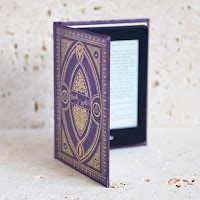 That's the sound of me clearing my TBR pile when a new LJ Ross book appears on my kindle. Just try and stop me from reading this immediately! 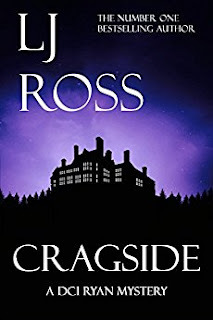 So the latest outing for DCI Ryan is entitled Cragside; this is a well-known country house in the North East of England that was the first to be lit using hydroelectric power, and I could say the I've never been to Cragside but that would feel like a lie because I have now 'virtually' been to Cragside. LJ Ross writes with so much passion and descriptive imagery that I felt transported through the pages to the breathtaking setting of the book. After their run-in with The Hacker, Ryan and Anna have taken up temporary residence within the grounds of Cragside. They are invited to attend the staff party when all the lights go out and the party ends early for one Cragside employee. It looks like a terrible accident but Ryan is not so sure. Then, when another body turns up on the estate, an investigation must be launched. So many people have secrets to hide, but at least one of them is guilty of murder. In the style of an old-fashioned murder-mystery, Ryan investigates a seemingly innocent death. My mind kept straying to the Prologue, where an explosion ripped through the site of a ship being built on the Tyne - I knew it had something to do with the story, but what??? It actually gave me goosebumps when LJ Ross wrote about the ship building empire on the Tyne; it was the lifeblood of so many people and I have been told about, but can't even imagine, seeing a ship being built at the end of your street. LJ Ross has now immortalised this proud hard-working region in print, and I could almost hear the shouts of the men and the smell of the river as we read about a majestic ship being built on the Tyne. You could of course read Cragside as a standalone, but you do NOT want to do that. Not only would you miss out on some fantastic books but you only scratch the surface of the characters in Cragside. I feel like I know them as well as I know my family which is why I always welcome them with open arms. It almost broke my heart to see how traumatised MacKenzie was after her run in with The Hacker but I'm sure the love of her good man, Phillips, will see her through. I also loved getting to know a bit more about Jack Lowerson - he's so completely clueless where women are concerned and I just wanted to give him a hug and a little push! A cracking LJ Ross book is as reliable as a Swiss watch. It's riveting, gripping, intriguing, compelling and so VERY addictive. Once you start this series you won't want to stop and I certainly don't ever want it to finish. Just as you think you're winding down towards the end of the book, LJ Ross cranks up the pressure with another mouthwatering ending. Ryan may have seen off The Hacker but there's another threat waiting in the wings. I can't wait to see how he deals with it and thankfully LJ Ross is a quick writer with Dark Skies already more than a twinkle in the author's eye. Hi Michelle. Great review for CRAGSIDE by L J Ross. You can't get better than: "riveting, gripping, intriguing, compelling and so VERY addictive. I so have to get a copy of this book! Thanks for the heads-up. Hi Alison. Thanks for visiting my blog. Cragside is highly recommended - I hope you enjoy it.